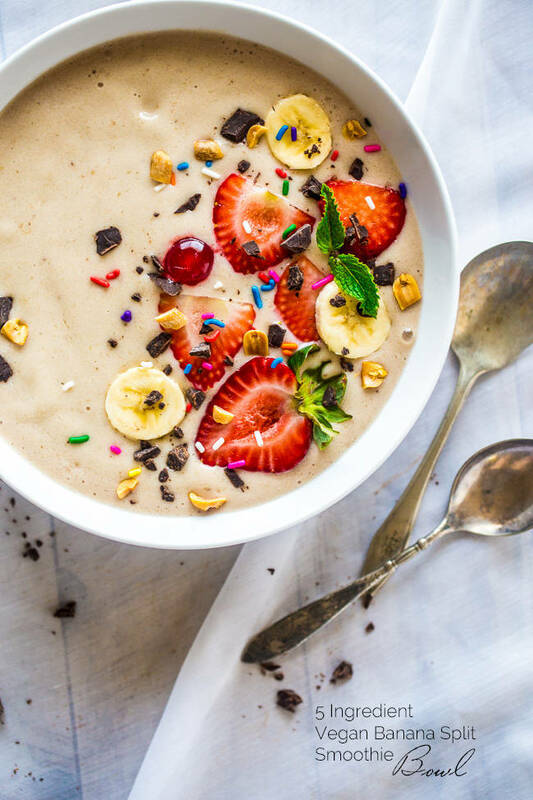 This 5-ingredient Vegan Banana Smoothie Bowl tastes like real banana split and is healthy enough for a nutritious breakfast. Plus it only takes 5 minutes to make! Quick and healthy.